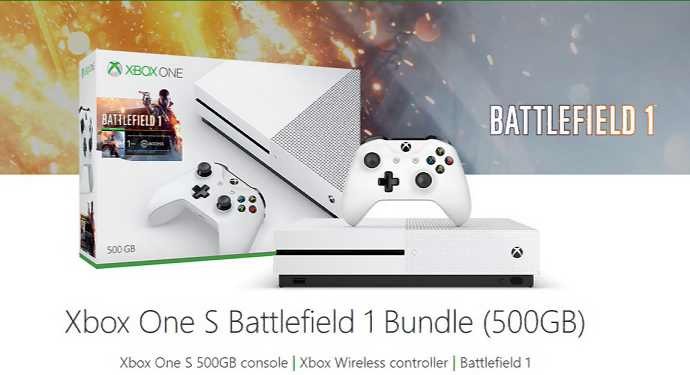 Amazon is now offering Xbox One S 500GB Battlefield 1 Bundle for just $267, along with free shipping. You will also get one month of EA Access and a 14-day Xbox Live Gold Trial. Xbox One S 500GB Console, full game download of Battlefield 1, one month of EA Access, Xbox Wireless Controller, HDMI cable (4K Capable), Power cable, 14-day Xbox Live Gold Trial, and a 3 month Xbox Live Membership Digital Code. Discover the world at war through an adventure-filled campaign or in epic multiplayer battles with up to 64 players on Xbox Live. Get Amazon Xbox deal from here.